Please note that above price is subjected to change and is for reference purpose only. Kindly contact Peugeot Nepal to get the latest showroom price. Note: Peugeot car price list was last updated on February 12, 2019. Peugeot cars in Nepal are distributed by Shangrila Motors Private Limited which is part of esteemed Golchha Organization. 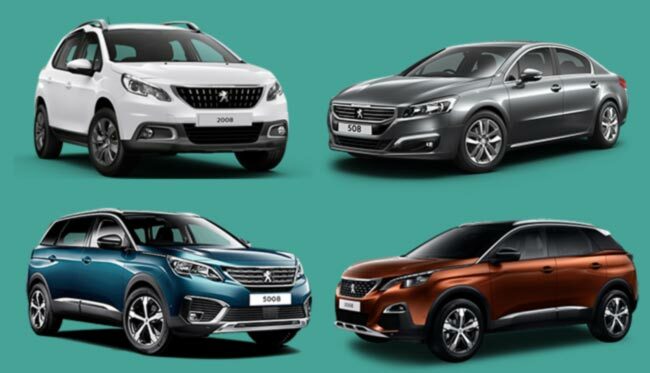 They are the authorized distributors of Peugeot motor vehicles in Nepal. Peugeot is a French automobile manufacturing company founded by Armand Peugeot. However, before existing as an automobile company, it was a coffee mill company. Only in 1830, it started producing bicycles and in 1889, it built the company’s first car. The first car was a stream tricycle which was quite unreliable. In 1890, first internal combustion car with a Panhard-Daimler engine was manufactured. In 1896, Peugeot as a separate automobile company was founded in the name – “Société des Automobiles Peugeot”. Peugeot is known for high class of cars with stylish looks. It has won many international awards for its motor vehicles. Some of these awards include European car of the year. Peugeot cars are quite reliable considering the fact that some of its models from 1950s & 60s are still running in Africa & Cuba. For over a century, it has taken part in motor sports as well. So, it is quite old and reliable car manufacturing brand in the market. In Nepal, Peugeot sells high class SUVs and executive cars. They are currently selling 5 models which includes Partner Tepee (EV), 2008, 3008, 3008 GT line and 5008. The price of these Peugeot cars in Nepal starts from hefty Rs. 60 lakhs and goes upto 1.38 crore, as listed above. Also, you can message us your queries regarding Peugeot car price in Nepal or its specifications/features at our Facebook page.